When buying a home, a real estate agent’s role is critical to your success. Whether you are a seasoned veteran or first time buyer, not using an agent to buy a home will cost you more money. Today, I’m going to shed some light on the important things a buyer’s agent does and why you’d be making a mistake if you didn’t use one to buy. ( and note, using a buyer’s agent is FREE ). There are rules regarding who represents whom during a real estate transaction. Here in Ohio, an agent can represent a seller, a buyer, or in theory, both, although to that I say neither. I’m not going to get into the legalities here, but whether you are going it alone or not, it is critical that you understand state agency laws before you enter into any agreements. BUT I DON’T NEED AN AGENT? A real estate transaction can be very complicated. An experienced agent has seen it all and has the knowledge and resources to navigate a buyer through the myriad of problems that can arise. While some transactions go smoothly, most do not. There are problems that come up on every transaction that you cannot always prepare for. With negotiations, inspections, financing, and the tremendous amount of paperwork, something always seems to come up during every transaction that can cause it to fall apart. When you use an agent, you also get the backing of their company, which includes a seasoned manager and legal department. When problems occur, even minor ones, having a team behind you every step of the way makes a world of difference. Let’s say I am selling my personal house ( and pretend that I am not a licensed agent )and have hired an experienced listing agent to help me sell it. The real estate commission has already been agreed to in advance before the sign ever goes into the ground. That is a fixed cost of doing business. So, you come to the picture without an agent and want to buy my home. I couldn’t think of a better scenario because my agent will take you to school. Instead of getting some perceived discount, they will likely get you to overpay, or at least pay more than a buyer who has an agent representing their best interest. This is nothing against you, but my skilled experienced agent knows a heck of a lot more about negotiating a home than you do. Advantage me! Remember, my agent represents me, the seller, and their job is to me the highest price possible. That is their fiduciary responsibility. Your goals and needs simply don’t matter. Of course she was. If you don’t have an agent, the listing agent makes twice as much money. Many listing agents will actually tell an unrepresented buyer that they’ll get a better deal working directly with them just so they’ll forego using an agent. A better deal? For whom? The listing agent, yes, but you, I think not. One of the best things an agent does for a buyer is to help them with the emotional aspect of the buying process. Don’t discount this skill because many of my clients have referred to me as their personal therapist. Buying a home means packing, moving, spending a lot of money, one of the most emotional times in a person’s life. Add to that having to deal with different personalities on the other end ( the seller ) that you cannot control and you get a recipe for an emotional cocktail that will explode if not managed properly. Even the most mild mannered people tend to get highly emotional during a purchase transaction. Ok, you get the point. In reality, most buyers and sellers are perfectly good people. During a transaction however, emotions will overpower logic and reasoning and get the best of everyone if you let it. That’s why having an agent, someone who is not emotionally attached to the transaction, to guide you is invaluable. Ok, here’s one last try. Ask yourself this question: If you had to go to court, would you hire your own attorney? That’s an analogy we use a lot because a successful real estate transaction occurs with two different agents, each representing their own client. Would you want the other person’s attorney representing you as well, knowing their loyalty and fidiciuary duty lies with the other party? Or would you prefer to represent yourself, thinking that you can possibly out duel someone who has more experience and knowledge that you do? I get it, some folks are narrow minded and simply need to do things on their own. To those people I say “good luck”, as a fool and their money are soon parted. 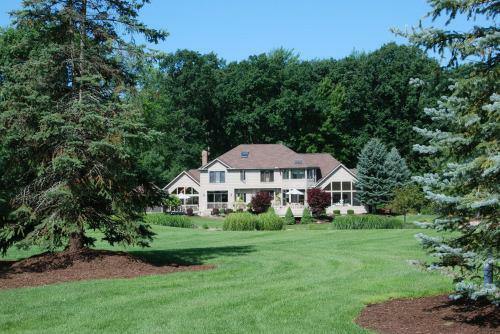 Welcome to our ultimate guide on Solon Ohio luxury homes, the only one of its kind. Whether you are relocating to Solon from out of state or making a move from across town, this guide is a perfect place to start. Here, we will list and describe all major luxury home subdivisions in Solon and even include videos and maps. Please note, a luxury home in the Cleveland metropolitan area is defined as anything over $500,000. Signature of Solon is one of few gated golf course communities in the Cleveland area and a popular destination for those looking to relocate to Cleveland. It offers excellent location, about 25 minutes from both downtown and the airport. It is one of Solon's most prestigious developments and consists of two phases, Signature I and Signature II. Homes in Signature range in price from $600,000 - $1,000,000 + and have all been built within the last 15 years. The primary differences between Signature I and II are lot sizes and proximity to the golf course. Homes in Signature I have smaller lots, and are located within walking distance of the golf course and club house. Many of these homes have golf course views. Homes in Signature II are located closer to the tennis courts and pool and and have larger wooded lots. Homes in Signature of Solon are well laid out for today's life style. The exteriors are breathtaking and complete with lush landscaping and finely manicured lawns. The back yard spaces are also well laid out with over-sized decks and patios. Many homes in Signature are colonials in style, but are mixed as to whether the master bedroom is on the main level or the second floor. Homes here typically have finished basements, many with exercise rooms, home theaters, full bathrooms, and plenty of space for recreation and storage. Many lower levels also have an additional bedroom, ideal for a nanny or in-law suite. In 2014, the average price of a home in Signature of Solon was $656,339 and the average square footage was 4396. The Signature housing development was designed around prestigious Signature Country Club, which is a major draw in the area for those that enjoy golf. Signature offers a pr ofessionally designed 18 hole golf course, a swimming pool, tennis courts, and a fitness area. Membership to Signature Country Club is a requirement for anyone buying a home in Signature of Solon. Membership is also available to those who live outside of Signature. The clubhouse is one of the largest in Ohio and offers casual and formal dining as well as a lounge with a pool table, fitness area, and an Atrium. The family room allows members to wear jeans and shorts and provides a great atmosphere for kids as it is surrounded by numerous TV's. There are also private rooms available for small parties and well as large ballrooms that are used for weddings and Bar Mitzvahs. Signature is a fairly transient development, which is perfect for families relocating to Solon as many of the residents are transplants as well. People living in Signature are open to meeting new people and the many activities offered throughout the year offers newcomers a built in social life. There are a ton of kid friendly events as well as functions for just adults. We have a ton of clients who live in Signature, many who relocated from out of state, and they simply love it. Living in Signature is more than just belonging to a golf club, it is a lifestyle. Please note that one of the four elementary schools in Solon ( Arthur Road ) will be closing within the next few years. While our information is up to date, we recommend contacting the schools directly to get any information that you need. Thornbury is another popular Solon luxury home subdivision. Although nestled inside a fairly large development, it has a small neighborhood feel, complete with its own walking path and playground. One drive through Thornbury will leave no doubt as to why it is viewed as one of the most desirable neighborhoods in town. The lush well-manicured lawns, attractive exteriors, and large lots make it very picturesque and there is always someone riding a bike, jogging, walking their dog, or just out being friendly. All homes in Thornbury have been built within the last 15 years and consist mainly of single-family residences. They range in value from $550,000-$1,000,000. Characteristics of a typical Thornbury home are an open floor plan, impressive 2-story entryway, first floor office, standard living room and dining rooms, gourmet kitchen with top of the line appliances, 2-story great room and a luxurious master suite located on either the first or second floor. High-end finishes and attention to detail help make the housing stock here special. Many homes also have large finished basements with exercise rooms, home theaters, play rooms, and a full bathroom. Some also have additional bedrooms perfect for a nanny or in-law area. In terms of exterior living space, many residents here have invested a lot of money into decks, stone patios, fire pits and more. It is safe to say that there are some pretty tricked out backyards in Thornbury which are ideal for both family and adult entertaining. The major difference between Thornbury and Signature is that Thornbury does not have the additional costs that are required by living in Signature. While you can still join Signature as a social or golf member while living in Thornbury, it is not mandatory. Those that either don't golf and wouldn't see themselves using the many Signature amenities view Thornbury as a great option. Why do people love North Park of Solon? Location, location, location. North Park is the only luxury home development of newer homes in the north part of town. While Solon in general offers a manageable commute to downtown, the airport, or the local hospitals, North Park is especially sought out because it is the closest luxury neighborhood to the highway. The North Park development consists of relatively newer housing, with all homes having been built within the last 15 years. One distinguishing feature of North Park is that the topography is a bit more hilly than most neighborhoods. Like Signature and Thornbury, homes in North Park have modern open floor plans and are mainly colonial in style. The homes here have luxury amenities throughout such as high-ceilings with crown molding, upgraded finishes and top of the line appliances. The landscaping in North Park is spectacular, which gives the neighborhood a very elegant and impressive feel as you drive through. The price range for homes in North Park is $550,000-$900,000. Our clients who live in North Park love the location, but also enjoy the neighborhood feel. They have been able to meet other families very easily and are happy with their choice of buying here. The main challenge is actually finding a home in North Park. Homes here rarely turn over, with approximately 1 home selling per year, so supply is very limited to say the least. On the flip side, home values here are very strong, so if you buy in North Park, you should have a solid investment. Chagrin Highlands was THE premiere luxury home development in Solon during the 1990's, when Solon's overall popularity was just starting to soar. Chagrin Highlands is a massive development with homes situated on beautiful 1 acre wooded lots. Chagrin Highlands is located in the center of Solon, in close proximity to the highway. While Signature and Thornbury get a lot of attention, Chagrin Highlands is worth a look. The lot sizes are big and private and affordability is a little better. Lower end homes sell for in the 400's but most homes in Chagrin Highlands sell from between $500,000-700,000. The Chagrin Highlands development consists of approximately 175 homes. While most homes here are single-family in nature, there is a street of stand-alone cluster homes that is very popular for those who are downsizing and looking for a home with less maintenance. Homes here sit back on the lots, making them look estate-like and quite impressive. The landscaping and exterior lighting make Chagrin Highlands a pretty neighborhood to drive through both during the day as well as at night. The homes themselves are a big mix in style, amenities and pricing. Most homes here are 2 story colonials and typically have 4-5 bedrooms, 4 full baths and finished basements with at least a half bath, and a 3 car garage. Although the homes are a little more spread out than most neighborhoods, there is still a sense of community felt by those living here. Having sidewalks throughout the development brings people together as neighbors are often seen jogging, biking, and walking their dogs. Kids also interact freely with one another here, making Chagrin Highlands very popular for those with school aged children. While not an overly large subdivision, Forest Hills is a fabulous development of luxury homes tucked away in a very pretty setting. Many people don't even know this subdivision exists but those looking to buy a higher end home in Solon should put it on their list. Here is everything you need to know about Forest Hills. The Forest Hills development offers a great combination of luxury homes on private wooded lots. The detailed exteriors and well-manicured landscaping gives Forest Hills a stately feel. A lot of the homes are all brick or stone, yet they all have a different look and feel, making them unique. Inside, the homes are spacious, averaging just under 4500 square feet. The floor plans are open and modern. Since the homes here were built in the 1990's, some may be a little dated at this point. However, an updated home in Forest Hills is hard to come by and will often fly off the market. The price range for homes in Forest Hills is approximately $600,000-$900,000. One drive through Forest Hills will answer this question. It is one of Solon's prettiest neighborhoods. We have a lot of friends who live here and they love the privacy of the development and the great neighborhood feel. The location is fairly central as well being in close proximity to so many local hot spots such as the top rated Solon Schools, Solon Community Center, Solon Public Library, and Solon Center for The Arts. For those seeking a home on land in Solon, Rollingbrook offers a unique opportunity. All homes here were built on secluded 5 acre wooded lots. In fact, many of the homes here are difficult to see from the road. Rollingbrook consists of just one street and is located near Signature of Solon. It is so tucked that many people who live in Solon don't even know it exits. This one of a kind neighborhood consists of approximately 35 homes that were built primary in the 1980's and early 90's. One drive through Rollingbrook is all it will take to appreciate this picturesque neighborhood. A handful of homes in Rollingbrook even have ponds in front of the home, offering a look of elegance and beauty usually seen only on the cover of a magazine. The average home in Rollingbrook is about 4800 square feet, has 4 or 5 bedrooms and 5 baths. Most are colonial in style and offer a mix of exteriors with brick, stone, or cedar being the most prominent. The interiors are a little more traditional overall then those you will find in newer developments like Signature and Thornbury, a function of the time period in which they were built. Overall, Rollingbrook is one of Solon's most exclusive streets and until recently, homes here rarely came on the market. Now, we are starting to see a lot more turnover, offering buyers a great opportunity to buy in this special neighborhood. Here is a list of some other luxury home developments in Solon. Most of these are just single streets containing 15-20 homes. Because of their size, inventory in these neighborhoods is often limited but they should still be considered in your search. High Point - Conveniently located just off Cannon Road in the northern part of Solon. Close in proximity to the highway, homes built in the 90's. Horseshoe Farms - Small street of homes located off Cannon Road in the western part of Solon. North Woods - Small development off Cannon Road, in the western part of town featuring some of the most spectacular newer homes in Solon. Built in the early 2000's. Stillwater - Luxury home street in the north part of Solon located across from North Park. Homes sit on pretty wooded lots and were built mainly in the 1990's. The Woodlands - Small development of about 15 homes off Aurora Road. Homes here were built in the 1990's and early 2000's. Homes sit on nice wooded lots and are fairly desirable for those relocating to the area. As a summary, here is a "cheat sheet" to make your search a little easier. Chagrin Highlands - Large development of luxury homes built in the 1990's on 1 acre lots. Forest Hills - A tucked away neighborhood of highly sought out luxury homes built in the1990's. Pretty neighborhood on private lots. High Point - Conveniently located just off Cannon Road in the northern part of Solon. Close in proximity to the highway. North Park Estates - The only development of newer luxury homes located in north Solon. Convenient highway access makes this very popular. North Woods - Small development of newer homes off Cannon Road, in the western part of town. Some of Solon's nicest homes are located here. Rollingbrook - One of Solon's most picturesque and exclusive areas. All homes here sit on at least 5 acres of land. Homes built in the 80's and early 90's. 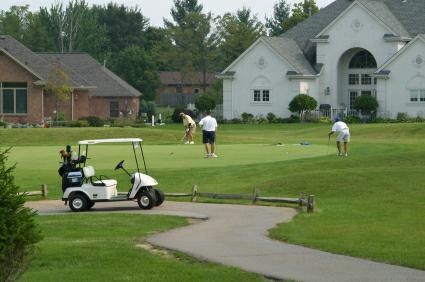 Signature - One of Northeast Ohio's only gated golf course communities. Homes were all built after 2000. Signature I is closer in proximity to the clubhouse and golf course while Signature II is closer to the pool and has larger lot sizes. Stillwater - Luxury home street located across from North Park. Homes sit on nice wooded lots and were built mainly in the 90's. Thornbury - One of Solon's newest and largest developments of luxury homes. 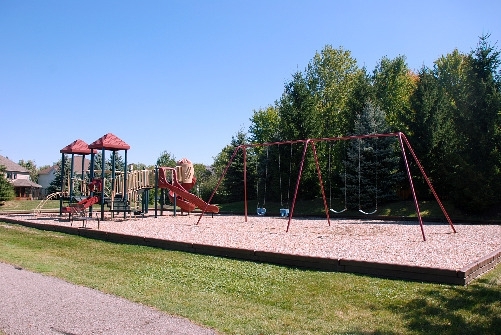 This subdivision is known for it's neighborhood feel complete with its own playground and walking path. The Woodlands - Small development on one street located off Aurora Road. Homes sit on nice wooded lots. Many people think that homes mainly sell in the summer, but the truth is that houses sell all year round. While the summer is the busiest time, the fall market can actually be the best time for a buyer. Let's elaborate on the items above. 1. Most families want to move during the summer and this creates competition for housing ( translation = higher prices ). Less buyers in the fall can sway the pendulum back in the favor of the buyer. Also, sellers whose homes got passed over during the summer suddenly feel pressure with winter approaching. Therefore, many sellers become more reasonable on price during the fall. 2. Some buyers are too busy during the summer and simply don't want to spend every weekend looking at homes. 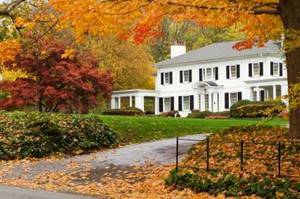 These buyers prefer to shop for homes during the fall and can end up benefiting because of it. 3. New homes often come on the market after Labor Day as many sellers also want to enjoy their summer and prefer to wait until fall to sell. These sellers, however, have winter looming over their heads and realize they have a limited time to sell, making them more realistic. There are plenty of buyers who missed out on the summer market, yet are serious to buy. Fall is the ideal time for them to shop for a home and even move in before winter hits. You are now at the point where inspections have been completed and any items of concern have been agreed upon by both parties. This is the part of the process where you can take a deep breath and relax a little. While it's not over yet, it should be smooth sailing as only a few things have to be completed. Since a loan takes between 30-60 days to complete, it will be in process by the time you are at this stage. Hopefully the appraisal has been done and approved by this point, otherwise, that would be the next step. 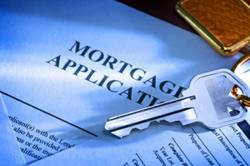 A loan cannot be approved if the appraisal does not come it at least equal to the purchase price. Make sure your lender has everything they need from you. It is a good idea to stay in constant communication with your loan officer at all times. We recommend making a checklist of any other things that need to be done prior to closing so you are prepared. If you plan on having improvements done to the home prior to moving in, you may want to contact contractors and plan dates for them to begin the work. You may also want to schedule a locksmith to come to the home once you close so you can have the locks changed. Most important, you need to handle the transfer of utilities so that you have service upon moving in. Your agent will provide you a list of the utility companies that service the area in which you plan to live. We discussed the walk through briefly during the "negotiation phase" but will cover the process in more detail here. In most contracts, you as the buyer will have a chance to walk through the home one last time prior to closing. The main purpose is to verify that the property is in the same or similar condition that it was at the time you entered into an agreement. It is during the walk through that you will verify that any items sellers agreed to fix are indeed operable to your satisfaction. Also, you will make sure that any items that were to remain in the property after closing, such as a refrigerator or washer and dryer, are indeed still there. A walk through is not to be used as a means to enter into price negotiations with the seller, yet again. That time has passed. If legitimate items present themselves during the walk through, your agent will address them with the sellers. We advise buyers to be proactive and organized during this stage of the process. Make sure you solidify plans with movers, contractors, and anyone else who needs to get into your home once you get the keys. Write down a list of things you need to do prior to closing and stay on top of it. Communicate with your agent and lender. Staying on top of things will lead to a smooth closing. Negotiations is one of the most important steps of the home buying process and also the most emotional. Today we will go over the basics. Most people are aware of this main negotiating phase and it was explained briefly in step 4 - "Writing An Offer". We discussed the need to look at market statistics and figure out a fair price for a home. That was the easy part. Now comes the hard part ----getting the seller to accept. Every seller thinks their home is the greatest thing in the world. They likely have a flood of memories in the home and spent a lot of money on maintenance or upgrades. They want as much as possible for it. A buyer on the other hand always wants to pay as little as possible, so the process begins on uncommon ground. Sometimes agreeing on terms is easy but most of the time there is a lot of back and forth with emotions getting magnified. This is why having an agent is so important, having a steady partner to guide you through the process. 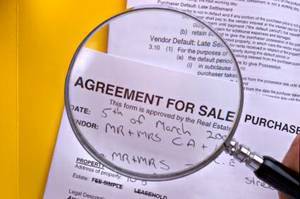 Let's assume you and the seller have come to terms and the contract is signed by all parties. Now comes phase 2 of negotiations. Once the home inspection process is completed, there will likely be items that appear on the inspection report that you will want addressed. Thus begins round 2 of negotiations. A buyer should concentrate on health, safety and structural issues that are discovered by the inspector. These are items that will typically be fixed by a seller without much fuss. It is the extraneous items that many buyers often ask for that causes this phase to become contentious. What is extraneous is up for debate, which is where the problems begin. Buyers often feel like this process gives them a reason to re-negotiate on price, which is not the purpose of the inspection. Then, they ask for all sorts of items or a reduction in price and the fireworks go off. Focusing on items specifically highlighted by your inspector is a good way to come across as genuine to a seller, and will likely get you what you want. Now, if you're the type of person who likes to push the envelope and see what you can get away with, feel free to ask the seller for the sun, moon and stars. Just don't be surprised if this strategy ends up hurting you. Within 3 days of closing, a buyer will have a chance to walk through a home to make sure it is in the same or similar condition that it was at the time of the execution of the purchase agreement. Typically, this takes 10-15 minutes and goes smoothly. In rare cases, a problem may arise where buyers and sellers need to negotiate prior to closing. For example, as terms of the agreement, a seller could have promised to fix an oven that was not secured ( a possible safety hazard ). Then, during the walk through, it is noticed that the sellers didn't do it. To alleviate problems during the walk through it is recommended to get paid receipts of any work that was done prior to the walk through. When you find that special home, it is time to make an official offer. This is a very serious step of the home buying process and should be done with the help of an experienced real estate agent. 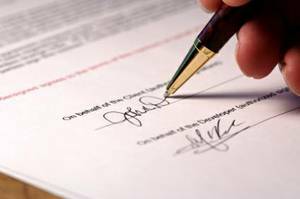 Any offer must be put in writing as verbal offers are not accepted in the State of Ohio. We also recommend submitting your offer as soon as possible so that another buyer doesn't get the home. While your agent will sit down and go over all the paperwork, our clients find it helpful to receive a copy of the purchase agreement in advance so they have a chance to review it. It contains a ton of important information and is a legally binding contract, so should be taken very seriously. The formal offer will consist of the purchase agreement, property disclosures, and State disclosures. By this point, your agent will have given you market statistics, so figuring out a starting price should be fairly easy. We will talk more about this in detail during the "Negotiations" Step of the process. We recommend that all buyers ask for a general home inspection up front. Then, based on the results, you will have a right to bring in additional specialists if deemed necessary by the general home inspector. We also recommend pest and radon inspections. 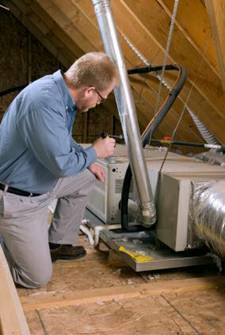 The general home inspectors typically offer these services. Homes that are on well and/or septic will require additional inspections. Your agent will be able to advise you on this. We recommend sitting down in person with your agent if possible to go over your offer and the corresponding paperwork. If you are unable to meet in person, doing everything by phone and email is certainly acceptable. The process could take 1-2 hours for first time buyers or as little as 15 minutes for seasoned buyers. Since this is a major financial transaction, you are also welcome to have an attorney review the paperwork, although not necessary in the State of Ohio. Once the paperwork is completed, things can get really complicated as the next step takes place, "negotiations". At this point, you will have gone over your parameters with your agent and secured your financing. Now comes the fun part, Step 3 ---finding your dream home. A real estate agent has access to real time data from the multiple listing service ( MLS ) and will be able to set you up on a home search based on your criteria. It is a proactive process as homes will get automatically emailed to you as they come on the market. Some buyers also like to search popular national sites such as Realtor.com and Zillow. These sites are good as well, but just keep in mind that information found here is not as accurate as the MLS. Bank owned homes are always listed in the MLS and would be included in your search. You may not know a certain listing is bank owned unless specifically stated in the property description. However, banks list their inventories with agents so you will not miss out on these types of homes. Pre-foreclosures are a popular search item on some companies' sites. The reality though is that a pre-foreclosure simply means the owners are behind on their mortgage. In most cases the owners will take the necessary steps and the homes never get to the market. If a home gets foreclosed on, it could take well over a year for the process to play out. In simplistic terms, these are not viable homes to consider. I do know of people who knock on doors of people whose homes are in pre-foreclosure but wouldn't recommend it. How would you like it if you were in financial distress and someone knocked on your door? Let's just say you won't get greeted with a friendly smile. There is an art to efficiently screening the numerous homes that you will see. 3. Note Homes That Contain Your "Must Haves"
If a home has few or no pictures, there may be a reason. Also, some homes look way better on line than they do in person. A listing agent's job is to make a home look as appealing as possible so be careful. On the flip side, some homes look better in person. A good buyer's agent should be previewing homes on your behalf and would be able to bring these homes to your attention. Make an appointment with your agent to see homes. We recommend not seeing more than 6-8 homes at one time as they tend to all look alike after that. Sometimes it takes 24-48 hours to schedule, so give your agent advance notice if possible. When viewing the homes, your agent will point out special features of each home. We recommend that you take notes or pictures/video of the homes you like so you can remember them after your tour. Don't be afraid to ask questions and get specific information that is important such as age of mechanicals, a list of updates, and a copy of the property disclosures. You may also want to bring a tape measure with you to make sure specific pieces of furniture will fit in certain rooms. The process of going out and looking at homes will continue until you find the right home. A motivated buyer should be able to find a home in 60-90 days. While Step 1 was to find a qualified buyer's agent, getting pre-approved would be step 1a, it is that important. Many buyers who have a good job history and excellent credit assume financing won't be an issue and often don't take this step as serious as they should. These folks opt to start looking for homes and only get an approval after finding a home they love---the wrong way to go about the process! In terms of qualifications, you may indeed walk on water, but it is still critical to go through the pre-approval process for many reasons. The pre-approval process is easy and can be initiated by a brief phone conversation with a loan officer. Save yourself a lot of aggravation and get it done early in the process. Is one better than another? It depends who you ask. Some people prefer a lender or broker who can shop the market and find you the best rate and terms. 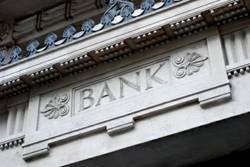 Others are more comfortable with a traditional bank. I am personally a fan of using a company with a vested interest in the local community as I feel they are more likely to have incentive to make their customers happy. If and when problems arise, an internet based company or one without a local office, in my experience, is less responsive. At the end of the day, the loan is an important part of the process so find someone that you feel will do a great job. Your agent or friends should be able to refer to you to a qualified loan officer.